There is always something about Erzullie Icon and Plus Size Model, Monica Reyes’ style. It’s a little edgy. It’s a little street. Most of the time it seems like on another person it’s not going to work or it’s too far out, but on her, it all makes sense. 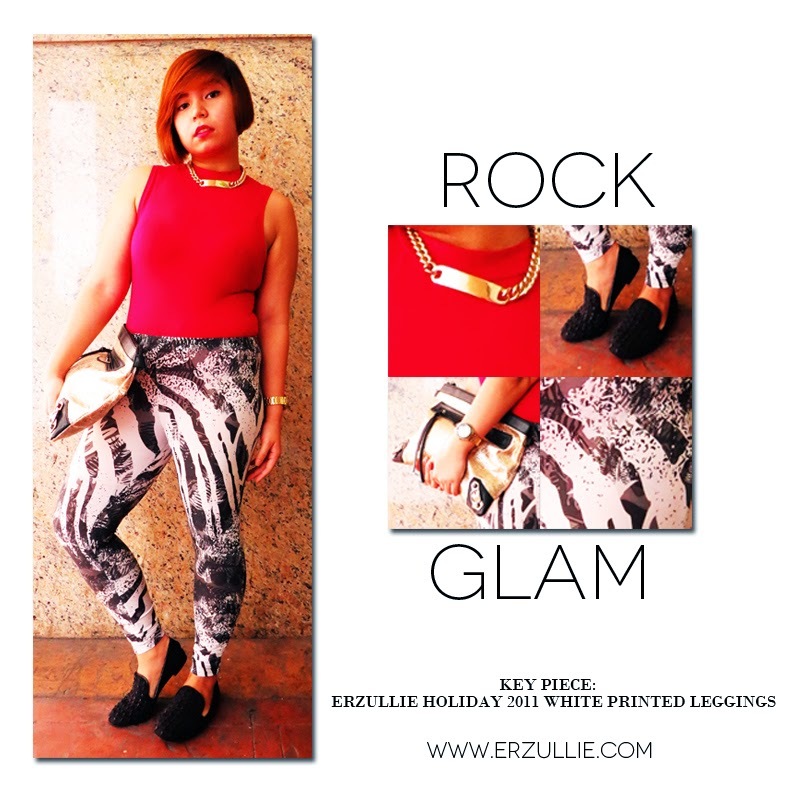 Who would have thought that the Erzullie Holiday 2011 printed leggings, paired with a red sleeveless top, some gold accessories and bump-textured flats would look so fierce? This rock glam looks tasteful, edgy and sophisticated all at the same time. Why does it work so well despite so many elements? Well the main focus is the wild printed leggings. It was then grounded more with the solid colors of the top and shoes. It was then highlighted with some gold accessories to tie it all up in several directions in the outfit. So for short, you start with one part of the outfit and use that to decide with the rest. Try this style tip today and see what kind of fierce ensembles you end up with!